Almost half of the American workforce is trading their office cubicles for at-home work environments. Remote jobs are available to anyone, from writers to engineers to architects. Digital marketing jobs are another huge opportunity for remote work, too. In fact, US spending for online campaigns is projected to reach about $120 million by 2021. That means there’s plenty of money in the market waiting to be invested in your services. 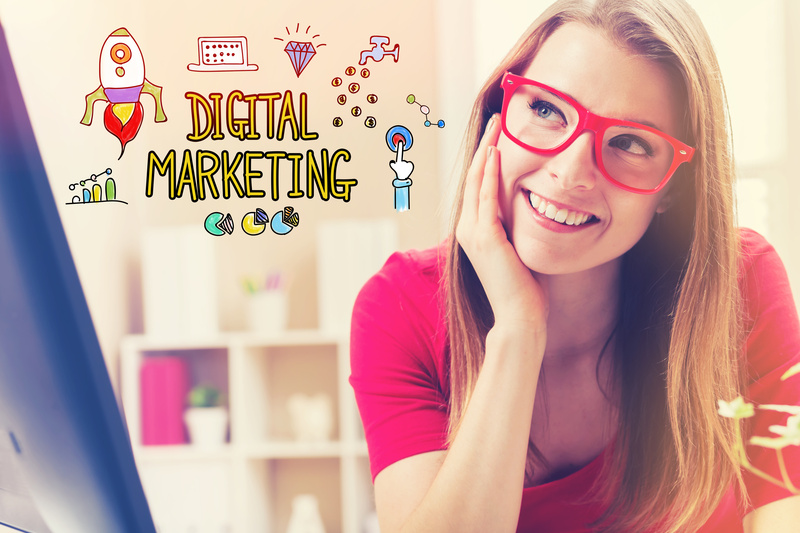 Here are five digital marketing positions you can work from home. Social media has more reach than your child’s Snapchat selfies. Thanks to Facebook algorithms and Instagram advancements, companies are highly interested in this kind of engagement. Engagement you can easily manage. Being a social media manager means tracking likes, shares, comments, and new followers. It involves taking on the voice of your clients as your own and creating content their audience can relate to. Social media requires a unique mix of savvy hashtags, eye-catching pictures, and analyzing results. If you’d rather focus on the visual aspect of attention-grabbing, consider being a graphic designer. Specializing in graphics means you can dip your hand in various types of digital marketing jobs. You may find yourself working with UX designers to build an awesome website one day, then making a logo the next. Or, you might choose to specialize in graphics for apps and other interfaces. Copywriting creates connections through the power of words. A copywriter can easily find a digital marketing job as a guest blogger. Other projects may include using SEO keywords to build site rankings or creating email campaigns. Whatever you choose, copywriting projects will have one thing in common – the call to action. Your words need to be interesting enough to get the audience’s attention, and direct enough to make them do what the client wants. You might find a niche for your writing in affiliate marketing. Affiliate marketing is basically a strategized referral program. It’s the result of you partnering with an eCommerce platform or a specific industry leader. You review and recommend products to share with your audience for them to purchase from your partner. This kind of digital marketing is usually paid per lead. Every time a new consumer buys a product or signs up for an email list, you get the agreed rate. Inbound marketing is the godfather of digital marketing jobs. It requires you to wear many different hats, especially when working from home. In this role, you are the researcher, writer, and project manager. You look into industry trends and competitor performance to pick the perfect keywords. You incorporate these phrases into your strategy and monitor engagement levels. The goal is to understand the audience, get in front of their screens, and lead them through the purchase cycle. It’s a big task with many responsibilities. Feel free to check out successful Portland inbound marketing companies as an example of what to expect. Can you think with your left brain as well as your right? If so, digital marketing may be for you. As creative and exciting as this world is, it also needs an eye for analytics and data. To get started building a career in this field from home, click here.